The Inner Bridge, originally with eleven arches and spanning the two Neckar arms and the Maille Park, was constructed about 750 years ago. It is therefore the second oldest stone bridge in Germany. The bridge connected the trade route which started in Italy and ran via Ulm through Esslingen to the Rhine and on to flourishing Flanders. For over 200 years this remained the only stone bridge in the Central Neckar Region. 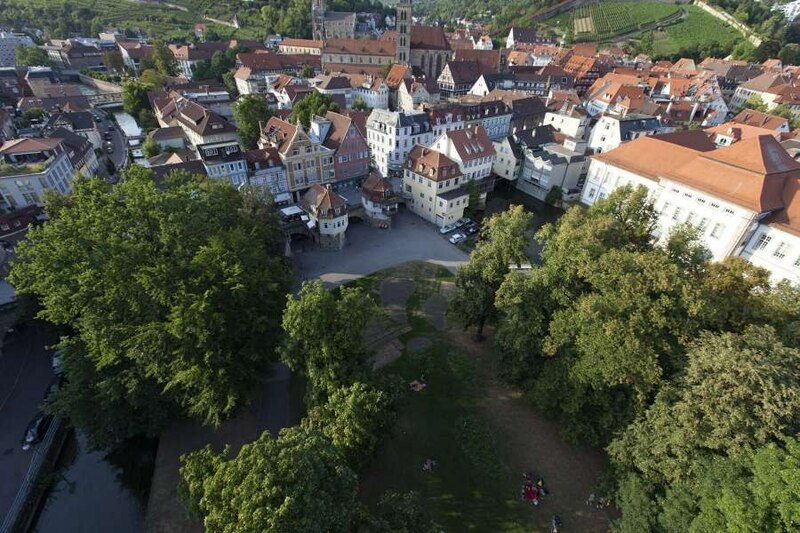 Those who wished to cross over the river safely from then on chose to travel via Esslingen. The bridge toll which had to be paid flowed into the municipal purse. Small bridge houses from the 18th century and modern shops still line the road which is perfect for strolling along.